Welcome to Day 3 of my “healthy eating-but tastes good” week of recipes! 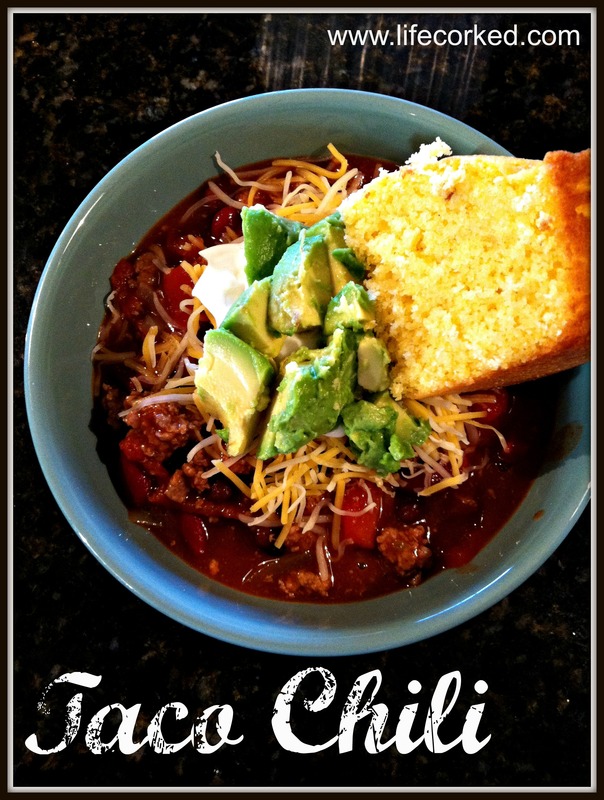 Maybe I’m preaching to the choir and you already have your favorite chili recipe, but I wanted to share mine because it’s SO easy and it’s my go-to quick, tasty and healthy weeknight meal. In fact, my five-year-old son who is somewhat picky (at least pickier than the rest of us), loves this chili and regularly requests it for dinner! The ingredients are pretty straightforward, however, you can add or subtract ingredients as you like. I will often add frozen corn or diced garlic, or you can just make it according to the following directions! * I try to use grass fed beef and organic ingredients whenever possible. Cook hamburger meat and diced onion in pan on medium-high heat until hamburger is brown. Add 1 cup water and taco seasoning to hamburger and onion mix and sauté for a few minutes on low. Add remaining ingredients (do not rinse beans). Stir, cover and let simmer on low heat for 30 min. (you can serve right away if you’re in a hurry, but if I have time I like to let it simmer). Serve in bowls and top with grated cheese, light sour cream and diced avocado. My daughter loves cornbread, and, to be honest, most of the time I’m too lazy to make it from scratch, so sometimes a package of Marie Callender’s cornbread does the trick! I’ve also served it with corn tortilla chips, which the kids love! 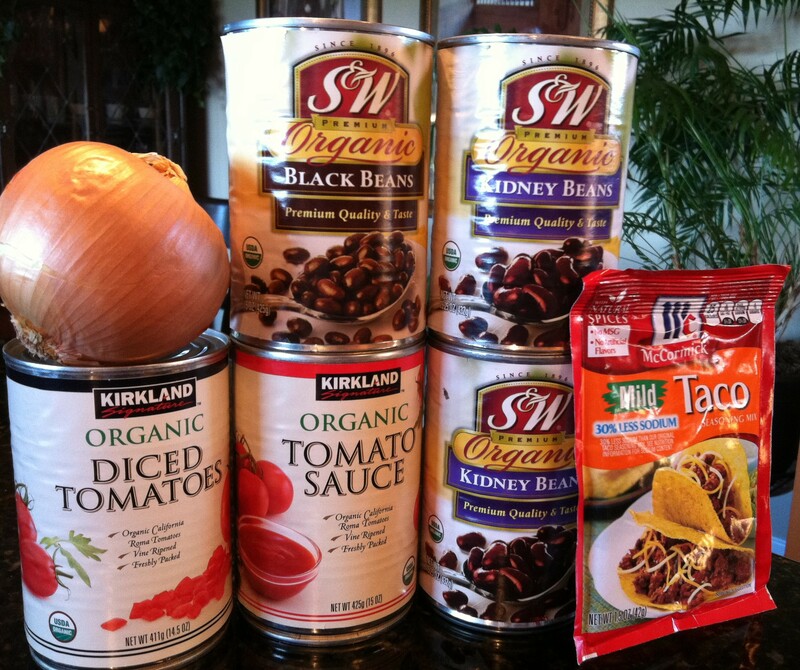 This recipe typically serves our family of four with a container of leftovers for lunch! Experiment, have fun and enjoy! ← Paleo Waffles – That Taste Good!